province of Misiones in northeastern Argentina, coastal and southern Brazil and eastern Paraguay, the Atlantic Forest once covered an area of 1.5M km2. One of the world’s most biodiverse subtropical ecoregions, and one of the most threatened as a result of hunting and past and present deforestation, the situation in Brazil and Paraguay is particularly disturbing, with almost no large forest remnant patches left outside of a small number of important protected areas mainly situated in coastal Brazil. According to the IUCN (2012), in Brazil only 8% of the original forest cover remains of which 20% is within the protected area network. In Argentina, as we shall see, the situation is a bit brighter. In a wide ranging study which looked at biodiversity distribution worldwide, taking into account endemism, endemic species/km and remaining percentages of original vegetation cover, Oxford ecologist Norman Myers ranked the “Brazilian Atlantic Forest” (actually over half the remaining Interior Forest is in Argentina – see below) as the fourth most important biome in the world, and the most important in South America for conservation. The WWF website’s description makes the point that, with up to 450 tree species per hectare, on the planet the Atlantic Forest is second only to the Amazon watershed in terms of diversity. More than 52% of the tree species and 92% of the amphibians in the Atlantic Forest are found nowhere else in the world. 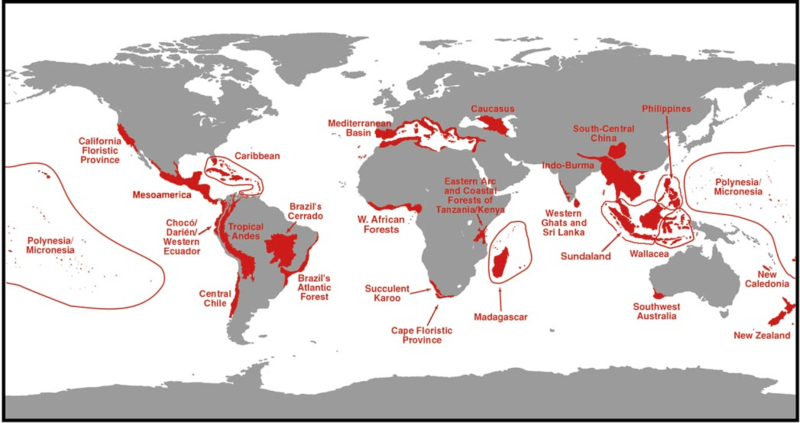 6,000 plant species, over 600 bird species; 263 amphibians and 160 mammals, including 22 primate species, are endemic. Two of the world’s largest cities – Rio de Janeiro and Sao Paulo – lie within the Atlantic Forest. Charles Darwin explored the area during his expedition on the Beagle in 1832. The Atlantic Forest can be divided into two regions: Coastal and Interior Forests. The Interior Forest is situated inland from the Atlantic coast of southern Brazil, and southwards from the tri-border Iguazú Falls area of Brazil, Argentina and Paraguay. As this Interior Atlantic Forest does not include the two large protected areas of coastal Brazil, only a calculated 2.55% of the original 470 000km2 original Inland Forest remained in 2004. In Argentina, however, total forest cover in Misiones is estimated at 45% of the original, meaning that currently, approximately half of all remaining Interior Atlantic Forest is in the Province of Misiones, Argentina. Misiones boasts several well-known Atlantic Forest protected areas such as Iguazú National Park and Urugua-í Provincial Park in the north of the province, and Yaboti Biosphere Reserve in the southeast. Private-sector initiatives such as the Corredor Verde reserve mosaic east of Urugua-í on on R101 provide much needed connectivity between state-protected areas and also serve as a base for a growing number of ecolodges and biological stations for birding and ecotourism as well as ongoing scientific study. Together, these state parks and privately protected areas provide, in the small province of Misiones, the last bastions for Atlantic Forest populations of birds such as Harpy Eagle and Black-fronted Piping Guan, and mammals such as Jaguar, Ocelot and Tapir. 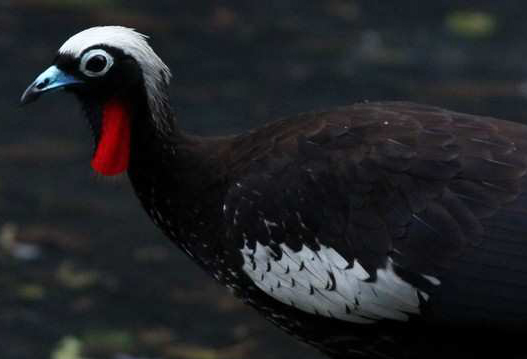 Black-fronted Piping Guan on Río Uruzú,, Urugua-í PP.